Remember Crystal and Rae's fun engagement session that I photographed at the carnival last year? 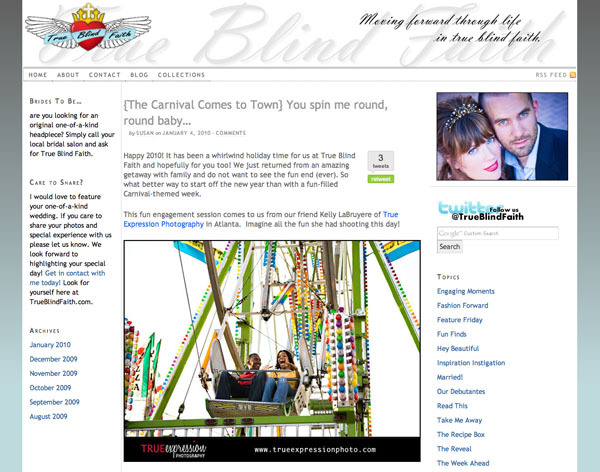 Well, I was excited that their photos were featured on the True Blind Faith blog as part of their carnival-themed week. Check out Crystal & Rae's feature here! Congratulations and great work on the engagement shoot; love the pictures!